Destructive and deadly hurricanes had damaged thousands of people’s houses and infrastructure as well as casualties in many cities of the United States in the last decade. From Hurricane Katrina that devastated New Orleans in 2005, Hurricane Sandy in 2012, to the most recent Hurricane Harvey that took place last year. The impact of those natural disasters was immense on many levels and in many ways including flooding, in particular. Hurricane Harvey’s week-long continuous precipitation submerged almost the entire Houston just merely a week before schools open for the new academic year. With donations from around the world and government relief funds, many of those affected were managed to rebuild and recover from the disaster quickly in Houston. Yet, many are still suffering financially and not being back on their feet in the wake of the historical “500-year” flood brought by Harvey. 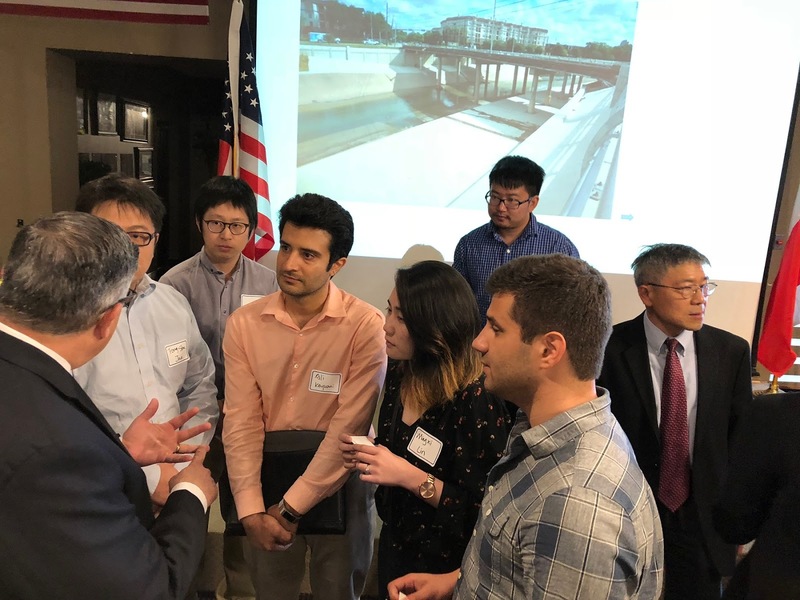 As a part of the community and in an effort to prevent the similarities from happening again in the future, the Education Division of the Taipei Economic and Cultural Office (TECO) in Houston brought reputable Taiwanese scholars and experts in civil, environmental, and hydraulic engineering to Houston for a seminar to share flooding mitigation strategies and plans with U.S. government officials and local authorities. 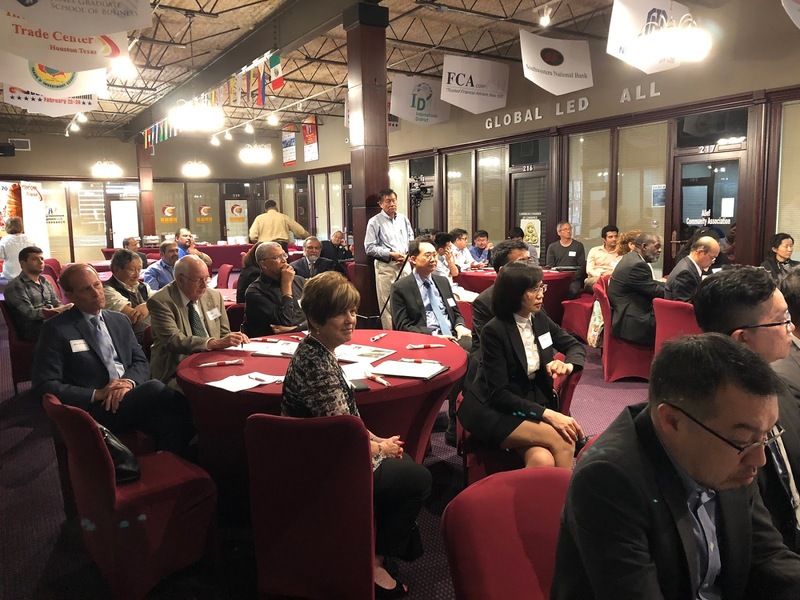 With the support of the University of Houston (UH)-Sugar Land, UH-Katy, and the Southern News Group, the seminar was held on May 14, 2018, at the International Trade Center in Houston. The event was filmed and aired on the local news channel and the internet. Professor Hong-Yuan Lee of the National Taiwan University (NTU), the former minister of the Interior in Taiwan, presented successful flooding mitigations strategies such as inter-government agencies collaboration and urban landscaping that was implemented in Taiwan during his tenure with the government. His colleagues at the NTU, Dr. Hao-Che Ho, Dr. Yiing-Yun You, and UH Professor, Dr. Keh-Han Wang, joined him for the presentation. U.S. Congressman John Culberson, Director Stacia Johnson of the Community Planning Development (CPD) of the U.S. Housing and Urban Development (HUD) took part in the conference and talked about the distributions of the hurricane relief funds by the State and Federal government. 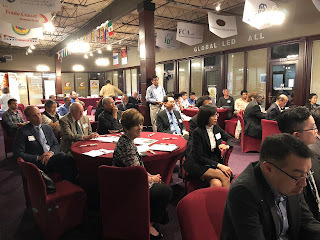 Estimated 50 attendees, including representatives of the TECO in Houston, community leaders, scholars, experts, professors of local universities, and future hydrologists, participated in the seminar to learn from the past experience and to find out effective solutions to fight Mother Nature in the future.